According the World Health Organization, tuberculosis (TB) is a serious public health problem and is one of the most common communicable diseases in Somalia. 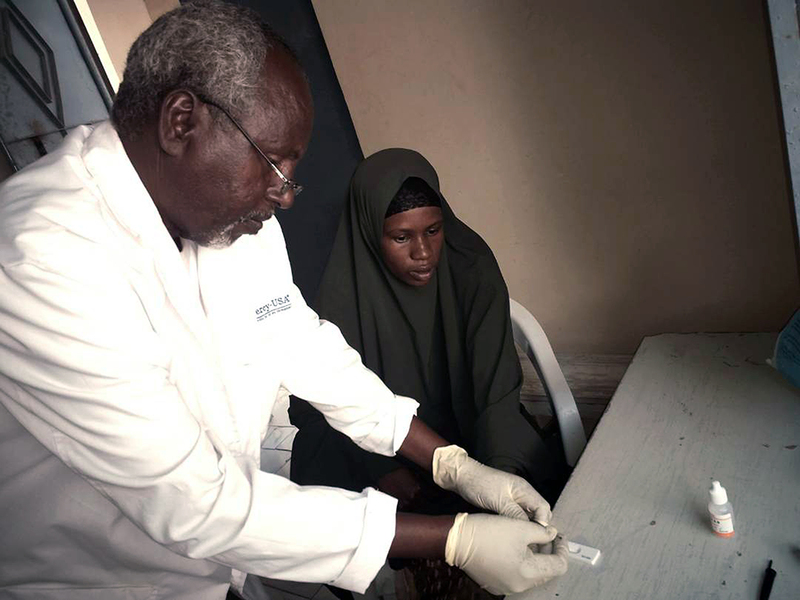 Since 1994, Mercy-USA has been undertaking a well-recognized TB treatment and prevention program in Somalia. This program now consists of 12 Mercy-USA specialized treatment centers with public education and community outreach. The program also includes training of nurses and other health care professionals in TB treatment and prevention. These centers are supported by a sub-grant from the Global Fund to Fight AIDS, Tuberculosis and Malaria (GFATM). These 12 centers, which have a cure rate of over 80%, treat more than 2,000 patients annually. Mercy-USA utilizes the most effective TB treatment strategy, the Directly Observed Treatment Short-course (DOTS) method. In addition to treatment, our centers educate their local communities about TB prevention. With the support of UNICEF and GFATM, Mercy-USA’s TB centers are also providing HIV/AIDS and STI testing, treatment and counseling.